Linear Motion Technology from Rexroth – The best foundation for precision, process safety and efficiency. Rexroth has a worldwide reputation for setting benchmarks in drive, control and motion. 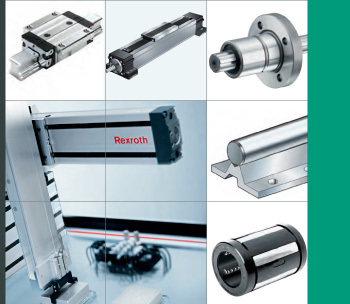 Rexroth’s vast product range and superior approach to their customer is unsurpassed by any other linear motion manufacturer. SUMMERS® carry large stocks of Rexroth Linear Motion products which can be despatched same-day. Click here to view the full list of Rexroth items available from SUMMERS.